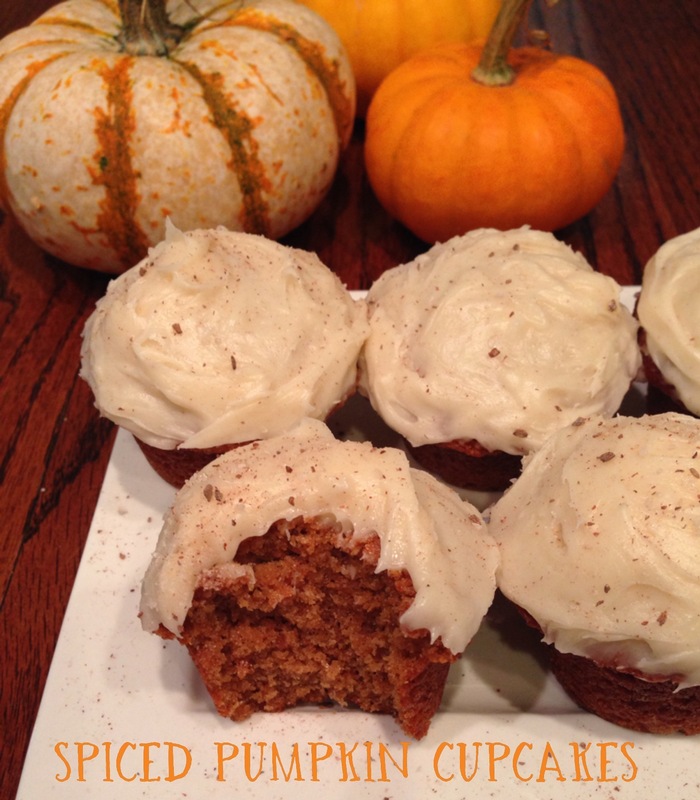 spiced pumpkin cupcakes | Is there any wine left? This time of year marks the annual craziness that is also known as Pumpkin Spice Latte at Starbucks. I’m personally a pretty strong adherent to my double grande nonfat latte, but I have to admit that the PSL has an undeniable appeal. And what could be even better than PSL? PSC! As in, Pumpkin Spice Cupcakes. Enjoy! Melt the butter and set aside to cool. In a large bowl, whisk the eggs, then add the brown sugar, granulated sugar and melted butter. Whisk until just combined. Add the flour, baking soda, baking powder, salt, cinnamon, nutmeg, and allspice and whisk until smooth. Then mix in the pumpkin puree. Fill each well in the cupcake pan about 3/4 full and bake until the tops spring back when touched, about 20 to 25 minutes. Transfer to a wire rack and let cool completely before frosting with the cinnamon cream cheese frosting. Garnish with a cinnamon sprinkle, if desired. Place the butter and cream cheese in the bowl of a stand mixer and beat on medium until light and fluffy, about 3 minutes. Add the cinnamon, vanilla and salt. Lower the mixer speed and slowly add the powdered sugar and beat until just combined.